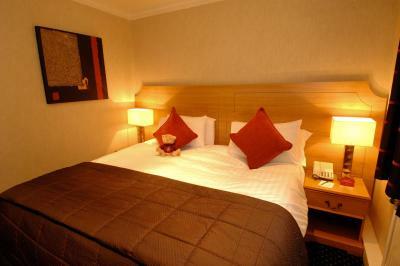 Lock in a great price for Hallmark Hotel Warrington – rated 8 by recent guests! 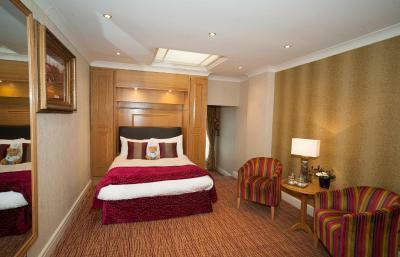 Very nice interior in the lobby and our guest room which was s new one. Sadly the bed wasn’t that comfy but the staff were fantastic and switched our room for the second night and upgraded us. 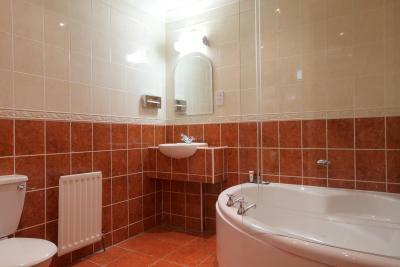 Good location for the local area and very clean but the staff made it for me, they were so friendly and helpful! 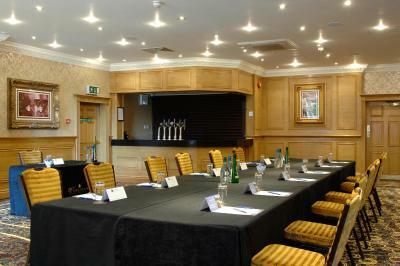 Pleasant, sociable and helpful staff but they were very restricted by the conditions they were working under. Powerful shower. 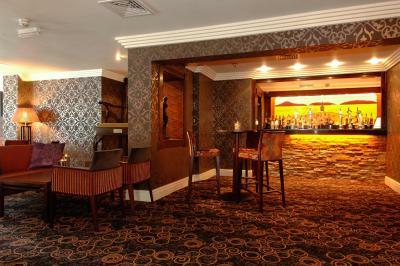 This is an excellent hotel and the price we paid was fantastic value! 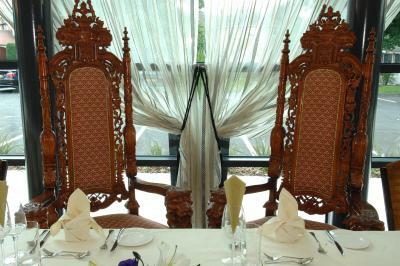 We had a meal with friends in the restaurant and the food and service was first class. Would definitely recommend. All the staff were very friendly and helpful. Good choice for the buffet breakfast. Unfortunately the automatic toaster broke down - and the kitchen chef had to do the toasting, which delayed my departure a little. Otherwise 8 out of 10 ! I stayed at your Leyland hotel which was excellent. I upgraded my room at Warrington - the upgraded room was small, the bathroom even smaller and overall not well cleaned. 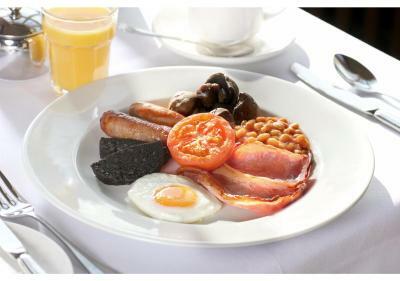 Saturday breakfast didn't start til 8am - a bit late? Staff were very helpful but overall very disappointed. Catering staff during the wedding meal. Absolutely brilliant. Bedroom maid very good. 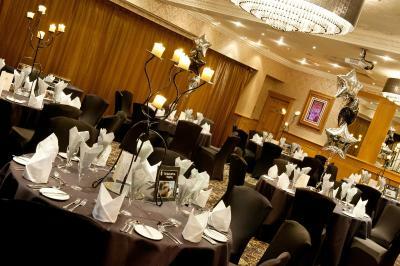 We were there for a birthday party which was good and the staff attending to us were very good. 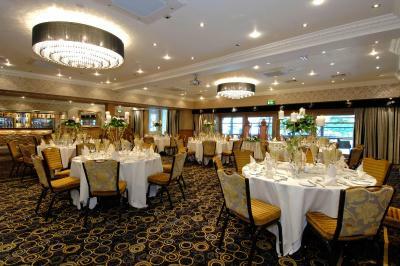 The buffet, supplied by the hotel, was also very good. 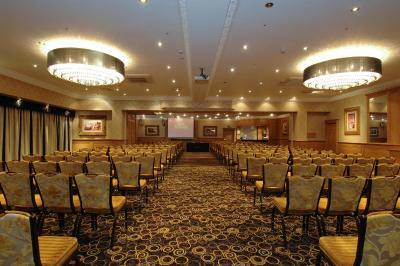 Hallmark Hotel Warrington is in a quiet part of Warrington, 5 minutes' drive from the M6 and M56, 15 minutes from Manchester Airport. Liverpool and Manchester city centers are 30-40 minutes away. 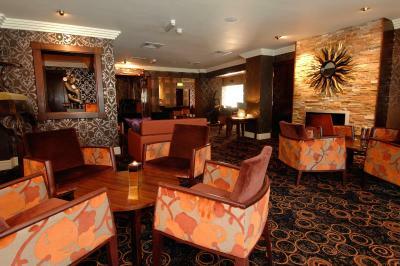 Hallmark Hotel Warrington's stylish Capri restaurant and Morrano bar were created in summer 2008. Many local dishes are on offer, and the bar has modern artifacts and unique snacks. There is an open-plan reception and sculpture lounge area. 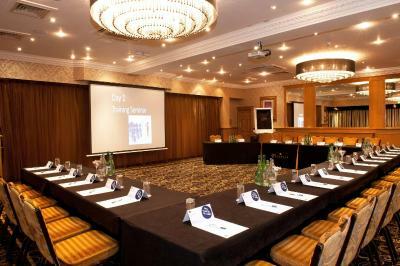 When would you like to stay at Hallmark Hotel Warrington? 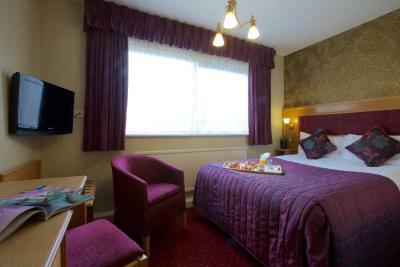 This room features a double bed, free WiFi, a flat-screen TV, tea and coffee tray, a work desk and chair, a hairdryer and and iron and ironing board. 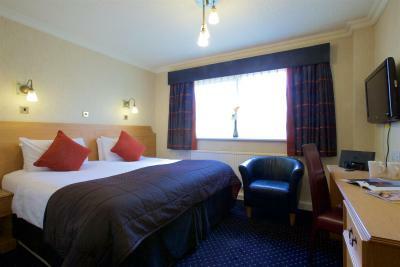 This room features a double bed, free WiFi, a flat-screen TV, enhanced tea and coffee tray, a work desk and chair, additional toiletries, bottled water, a hairdryer and and iron and ironing board. 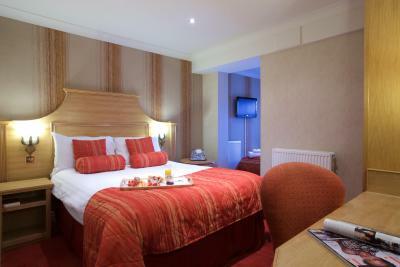 This room features 2 single beds, free WiFi, a flat-screen TV, enhanced tea and coffee tray, a work desk and chair, additional toiletries, bottled water, a hairdryer and and iron and ironing board. 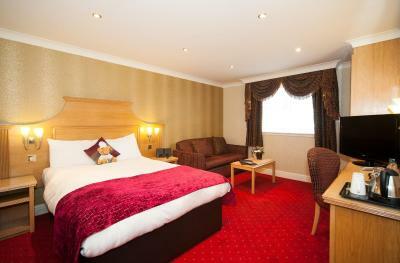 This room features a double bed and a roll-out children’s bed. A cot is available on request. Free WiFi, a flat-screen TV, tea and coffee tray, a work desk and chair, a hairdryer , iron and ironing board and children’s packs are available. 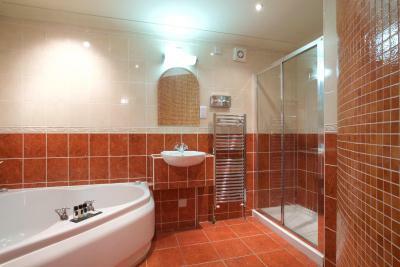 This suite features a double bed, free WiFi, a flat-screen TV, enhanced tea&coffee tray, a work desk and chair, a hairdryer, iron and ironing board, bottled water, bathrobes and slippers, upgraded toiletries, fresh apples and Hallmark humbugs. 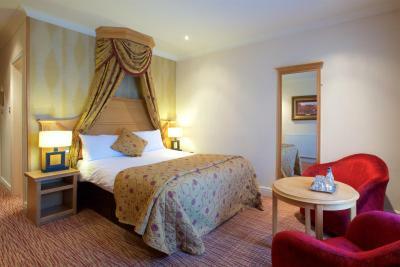 This room features a double bed and a roll-out children’s bed. A cot is available on request. Free WiFi, a flat-screen TV, tea and coffee tray, a work desk and chair, a hairdryer, iron and ironing board and children’s packs are available. 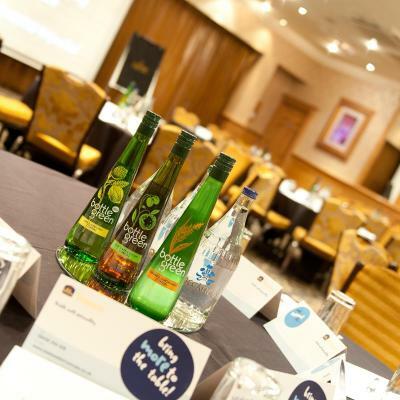 House Rules Hallmark Hotel Warrington takes special requests – add in the next step! 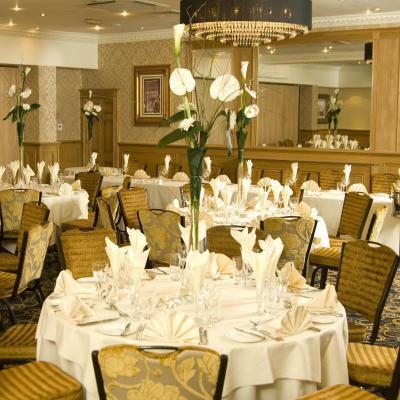 Hallmark Hotel Warrington accepts these cards and reserves the right to temporarily hold an amount prior to arrival. 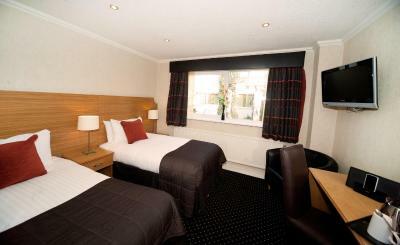 Superior room was far from superior, it was not as it appeared on the hotels own picture on their website. Lack of storage space. Curtains ragged they were threadbare and rotted by the sun. Light falling out of bathroom ceiling. Washbasin badly cracked. Shower door faulty. Nowhere to put toiletries in the shower. Extractor fan not working. Only a limited breakfast available. Breakfast could be better.. runny bland scrambled eggs. A car is recommended . Overall not very clean. room very small. 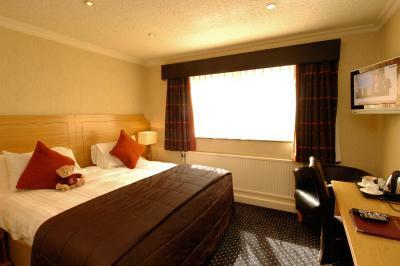 Booking.com sent us two confirmations, one for Frodsham and one for this hotel. The women at the other hotel was lovely and helpful, she even took our details to put a complain through to booking.com on our behalf. Not this has anything to do with the hotel but when I first walked in there was a bunch of ladies sat near the reception and one of them was bluntly speak about Pakistani and Indian people and stated that ‘they are all so rude’ Moreover, the lady at Hallmark, when I explained what had happened she first giggled the matter off as if it was a funny story, she also said ‘there’s nothing I can do’ even though I was just explaining what had happened. Then when I expressed how she was showing lack of empathy she soon offered to put a complain through and offered us two vouchers for free glasses of wine (I’m Muslim I don’t drink alcohol). The whole night was ruined. Moreover the room next door to us very extremely noisy!!! We couldn’t even get a good sleep. I was very disappointed! !